"Make the night before, rolls rise in the fridge overnight and bake the next morning. Easy and delicious. Enjoy!" to avoid flattening the rolls when cutting, use a length of thread, place under the roll where you want to cut it holding the ends. Tie a knot... easy as pie. 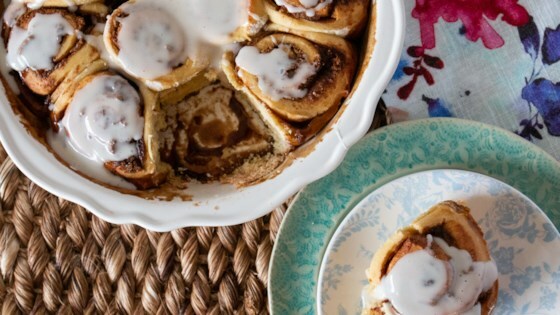 This is excellent for "prepare ahead cinnamon rolls! Easy to prepare, and best of all, it's done the night before! A keeper!